Deb: Debbie Marshall, Children’s Director, wanted me to e-mail you about a special event which Westwood will be hosting on Friday, July 24 from 2-3:30 p.m. in the Fellowship Hall. They are especially interested in reaching homeschooled families’ kids, although anyone can come. 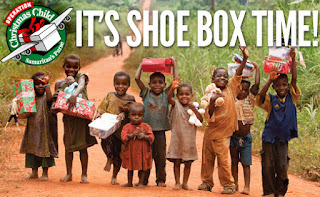 During that time, Operation Christmas Child is having a young man come and speak. Alex Nsengimana is a Rwandan genocide survivor and a shoebox recipient from Samaritan’s Purse. He will share about his journey to faith. They will also have a time of refreshments and of craft making by the kids. If you need more information, let me know. Debbie was contacting those home school groups that we were acquainted with. Feel free to share the information with anyone else who might be interested in attending.